First, cure the duck legs. Make a simple spice mix with the sugar, salt, cinnamon, star anise and dried mandarin peel. Rub the duck legs with the spice mix, making sure the legs are well covered with the cure. Place on a wire rack with a tray underneath to catch the liquid that will drain off the meat. Leave in the refrigerator, uncovered, for at least 24 hours. The next day, wash off the salt and pat dry with paper towel. Turn the oven on to 120°C. Place an oven-proof pot on low heat and add vegetable, garlic, bay leaf and black peppercorns. Heat the oil ONLY up to up 110°C using a thermometer. Too hot and it will start to fry the duck. Add the duck and the whole shallots. Place the whole pot in the oven for at least 1 hour or until the meat starts to fall off the bone, then allow to cool in the oil. Whisk together the mustard, honey, red wine vinegar and olive oil in bowl. Season with salt and pepper to taste. Turn the oven on to 180°C. Take the leaves off the beetroots. Cut the butternut pumpkin in half length ways, then cut into 2cm thick wedges. Toss the vegetables in olive oil, salt and pepper, coating well. Drain the duck legs and shallots from the oil really well. 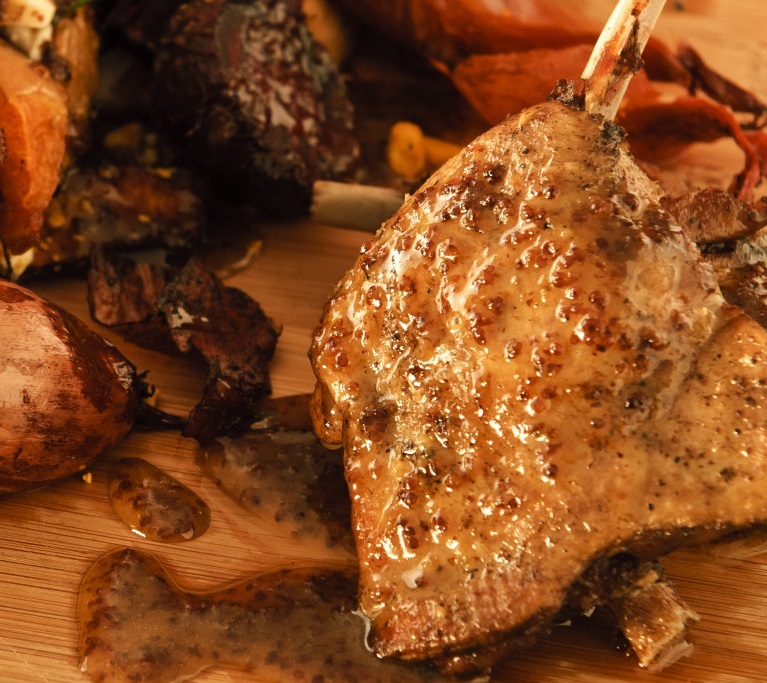 Place all ingredients on a roasting rack and roast together (duck and veggies) for about 25 minutes or until the vegetables are soft. Arrange the vegetables on a plate and sprinkle fetta on top, followed by the dukkah, then the duck legs.